The secret to a healthy smile relies on more than just brushing and flossing. A key ingredient also involves the care you receive from your dentist. If you are like most Americans, you probably worry about a large bill; however, you have nothing to fear. 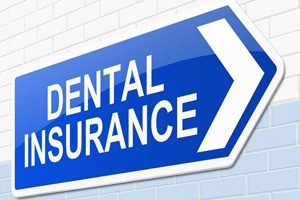 You have dental insurance, so you can get the services you need for affordable rates. As your Aetna dentist in Castle Shannon, we will help you lower your long-term dental costs by keeping your teeth and gums healthy. Dental insurance is built on a foundation of prevention. By stopping oral health issues from developing in the first place, like tooth decay and gum disease, you lower your long-term costs for care. For every $1 you spend on prevention can save you $8 to $50 on restorative and emergency services. Aetna designs their dental policies to help you maintain your oral health to minimize your dental expenses. Even with the best care, a complication can still arise. Aetna has the coverage you need to quickly rehabilitate your smile. 80% coverage for minor restorative treatments, like dental fillings. 50% coverage for major restorative procedures, like root canal therapy. By paying your monthly premiums and your annual deductible, you have access to comprehensive dental care. To make the most of your benefits, it is recommended you choose an in-network dentist, like Dr. Colleen Cain. She has pre-negotiated rates with the insurance carrier to reduce the amount you need to pay out-of-pocket. She creates customized treatment plans to help you reach your oral health goals. With your yearly maximum strictly enforced, she can split your treatments across calendar years, so nothing stands in your way of a healthy smile. Although it is best to visit a dentist who is in your insurance’s network, you have the freedom to choose an out-of-network location. Dr. Cain works with both in-network and out-of-network patients to keep her services affordable. Dental insurance can be confusing. As a result, many Americans do not use their benefits to their full potential. In fact, less than 3% meet or exceed their yearly coverage. We do not want to see your benefits go unused. To help make the most of your insurance policy, Mona is here to help you. She is a valued member of our team. 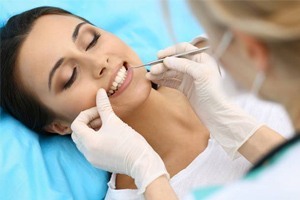 She has extensive knowledge and experience in the dental field, including insurance. Mona works on your behalf with Aetna to file the necessary claims and paperwork for reimbursement. She takes the time to help you understand how your coverage is being used to pay for your treatments. If you have any questions, she has the answers you need. If there comes a time when a treatment exceeds your insurance, she will explain your treatment options. Get the healthy smile you deserve for affordable rate using your insurance. Contact our office today to schedule an appointment.